Americans are deeply dissatisfied with President Obama's economy. 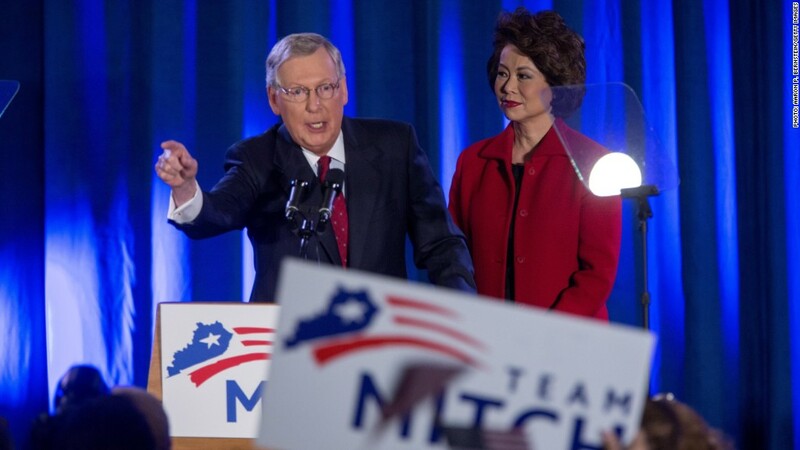 According to CNN midterm election exit polling, seven in 10 voters said they were concerned about economic conditions. Truth be told, the economy is actually chugging along if you look at the big picture data on GDP and unemployment. America is certainly better off than it was six years ago during the financial crisis. But that doesn't matter to most people. They look at their own financial situation, and for many Americans, it hasn't improved. Here's a look at the "ho-hum Obama economy" in four charts. 1. Economic expansion: After contracting in the first quarter due to some unusually harsh winter weather, the economy has been building momentum. 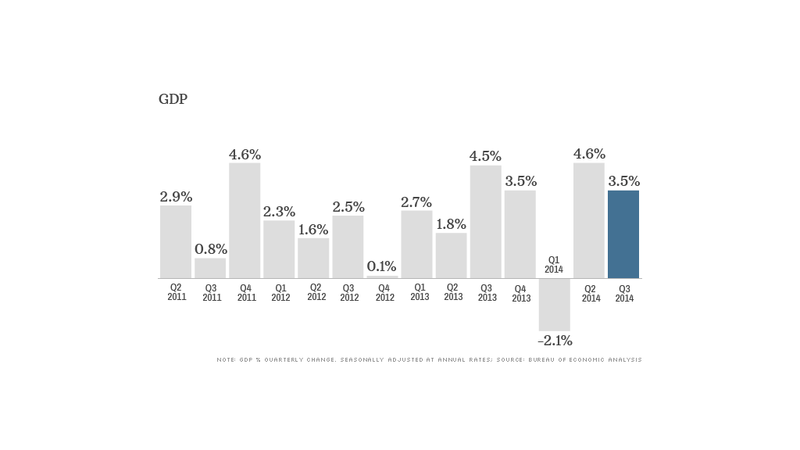 GDP grew by a solid annual rate of 3.5% in the third quarter, driven by a bump in consumer and government spending. Low gas prices could be an added bonus this quarter as shoppers have a little extra money in their pockets going into the holiday season. The steady economic growth picture is in sharp contrast to Europe, where feeble GDP and inflation are threatening to tip the continent into recession. 2. Jobs: After years of sluggish jobs growth, the economy is finally adding to the employment ranks at healthy clip. 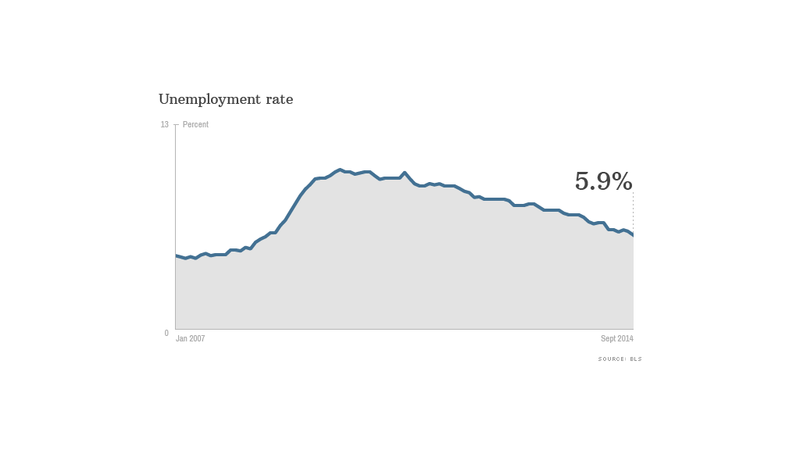 In September, the unemployment rate dipped below 6% for the first time since the recession. And that was because people were actually getting jobs as opposed to simply dropping out of the workforce, a theme that's been all too common during the recovery. But don't break out the champagne yet, as there are still far too many people who have given up looking for work. In fact, at just 62.7%, the share of Americans participating in the labor force is now at its lowest point since 1978. 3. Paltry wages: But even those who have jobs aren't necessarily seeing their fortunes improve. 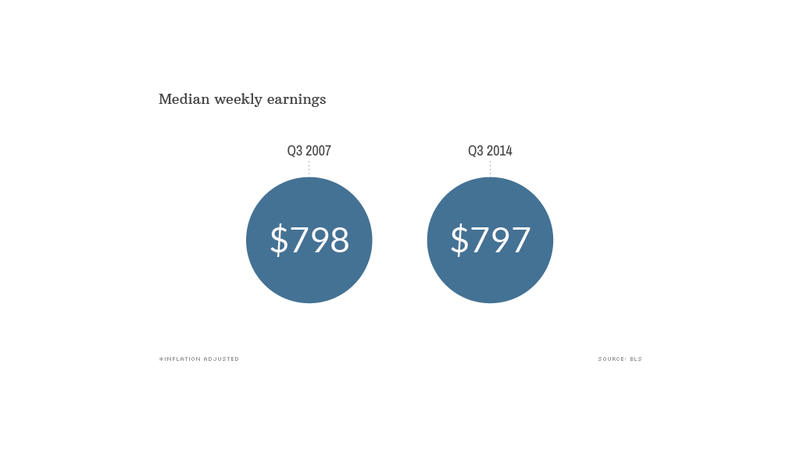 Average weekly earnings are about $797 -- almost exactly the same as in 2007 (after adjusting for inflation). Federal Reserve Chair Janet Yellen has repeatedly pointed to low wages as a big hurdle for the economy. That's a tough pill to swallow and may be why so many voters expressed economic anxiety this election cycle. While some goods cost more, Americans' wages aren't going up accordingly. 4. Bull market for some: At the same time, things are looking pretty good for the upper middle class and wealthy. 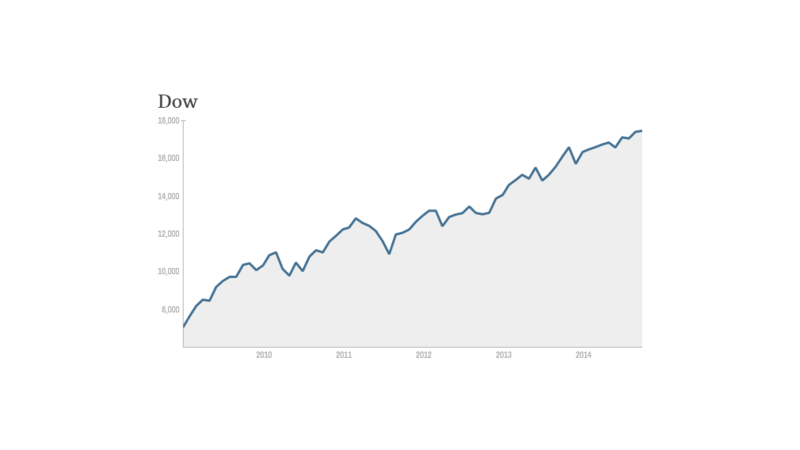 The stock market is at record highs and home values have made a remarkable comeback. But until things start to perk up for all Americans, expect the economy stay to front and center in the next election cycle.